Add colorful images to your paper that smell good, too! 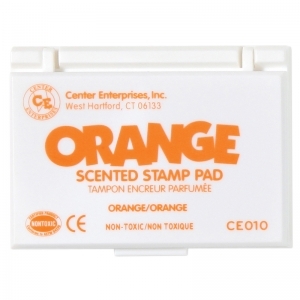 Ink is non-toxic and child safe. 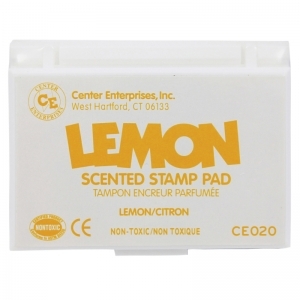 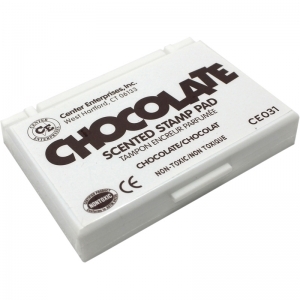 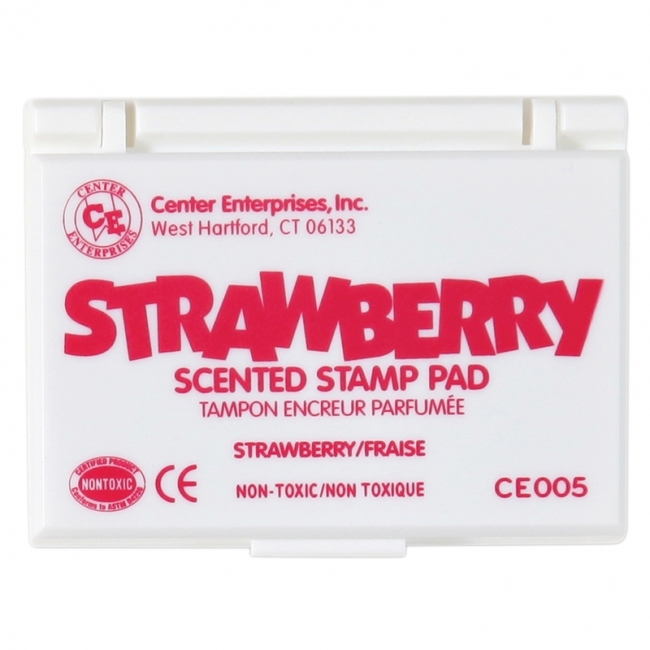 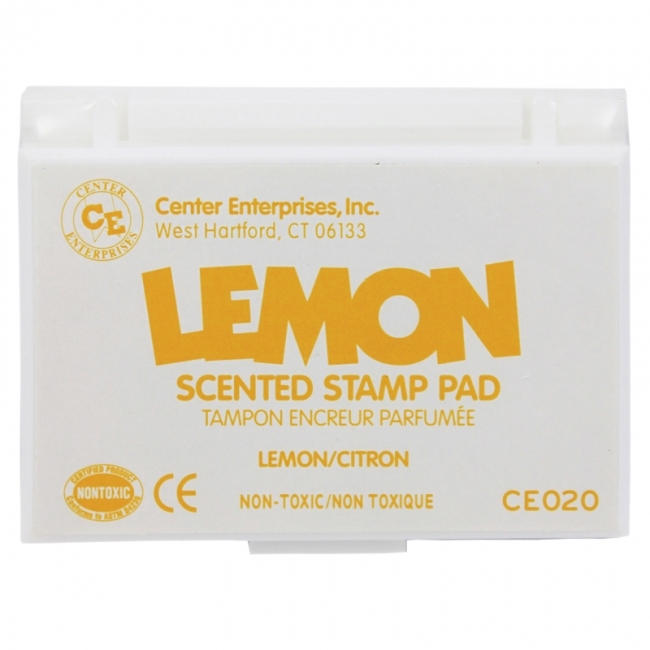 Each stamp pad measures 2.25" x 3.75". Acid-free archival quality. 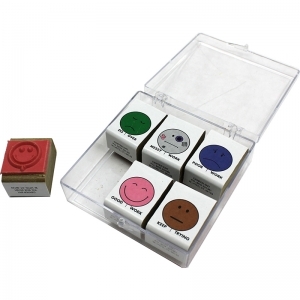 This set of six stamps is a must have for every teaching grading papers. Use this set of three rubber stamps to make time task cards or have students create their own clock faces. 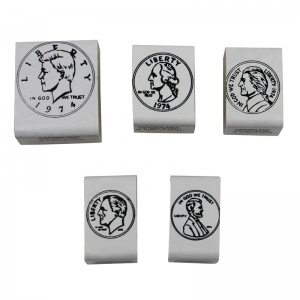 Set includes three circular faces about 2" diameter. 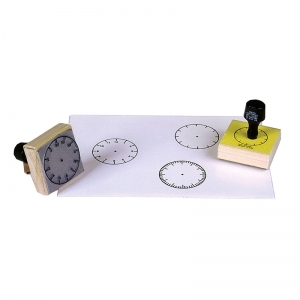 One shows 12 five-minute and minute divisions only, the third one shows 12 five-minute divisions and the hour numerals. 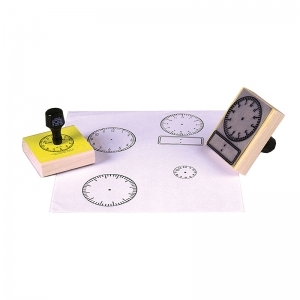 This stamp allows teacher and student to make their own clock activities to reinforce telling-time concepts. 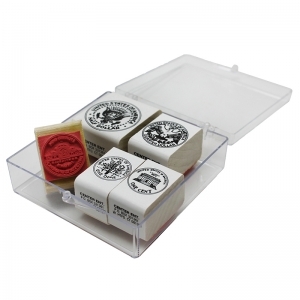 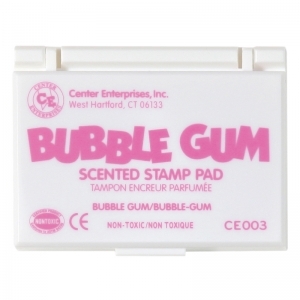 Games, worksheets, flashcards, and learning station activities can be made with this stamp. 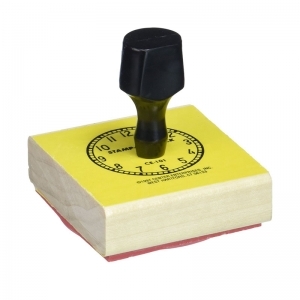 Stamp measures 2-1/2" x 3-1/2". This stamp allows teacher and student to make their own clock activities to reinforce telling-time concepts. Games, worksheets, flashcards, and learning station activities can be made with this stamp. 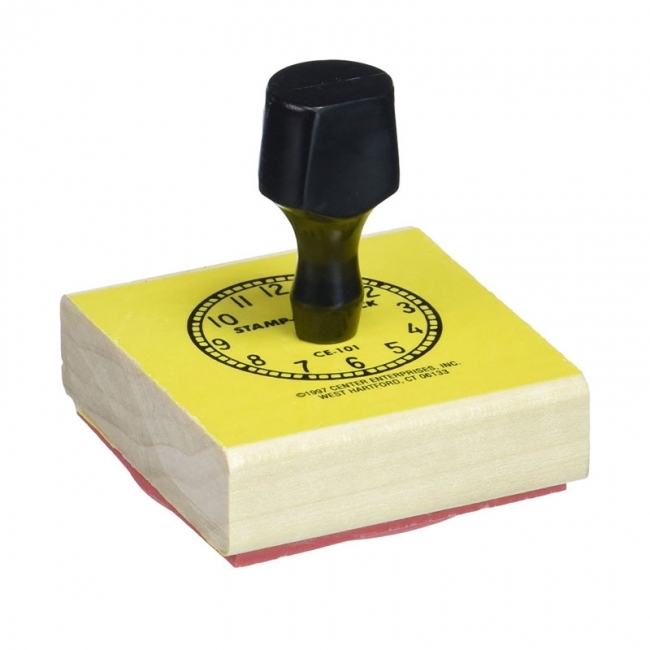 Stamp measures 2-1/2" square. Coin identification & money math problem-solving are so much easier to learn with these 5 realistic, rubber stamps of 1,5,10,25 & 50 cents. As kids stamp out games, lessons & toy money they get plenty of practice in basic money math skills. 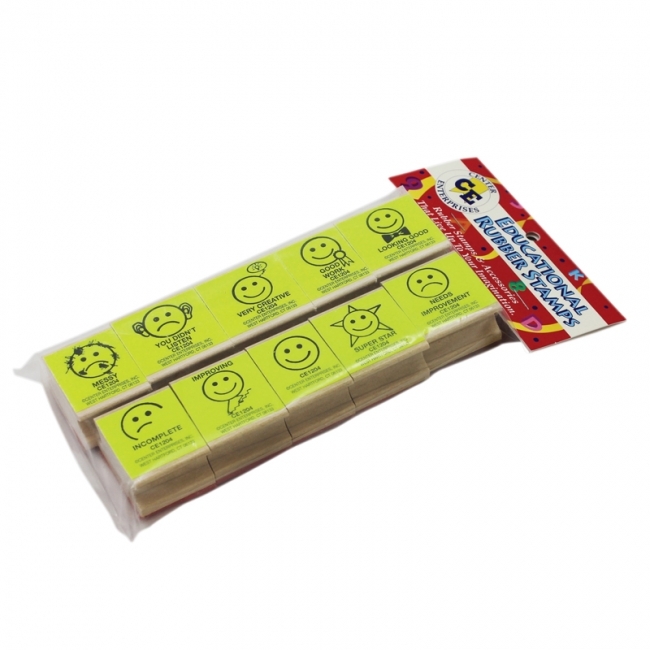 Easily recognize achievement, show encouragement or specify areas in need of improvement. Each set contains 10 individual wood stamps approximately 1.5" x 1.5" in size. Easily recognize achievement, show encouragement or specify areas in need of improvement. Pack of ten individual wood mounted rubber stamps. 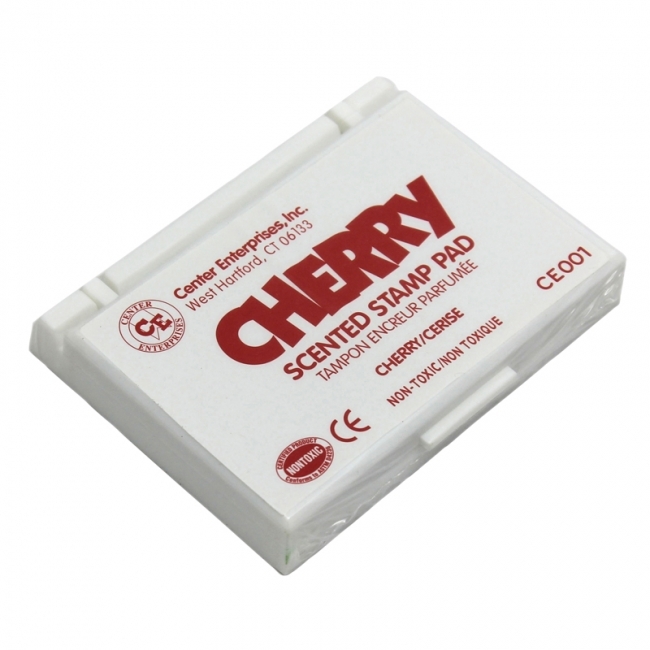 Each stamp measures approximately 1.5" x 1.5". 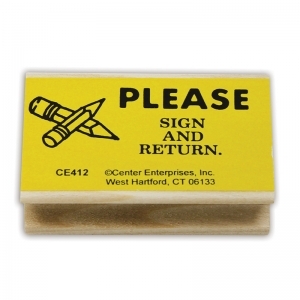 All The Things You Don't Have To Write Again. Rubber stamp in a plastic storage case.